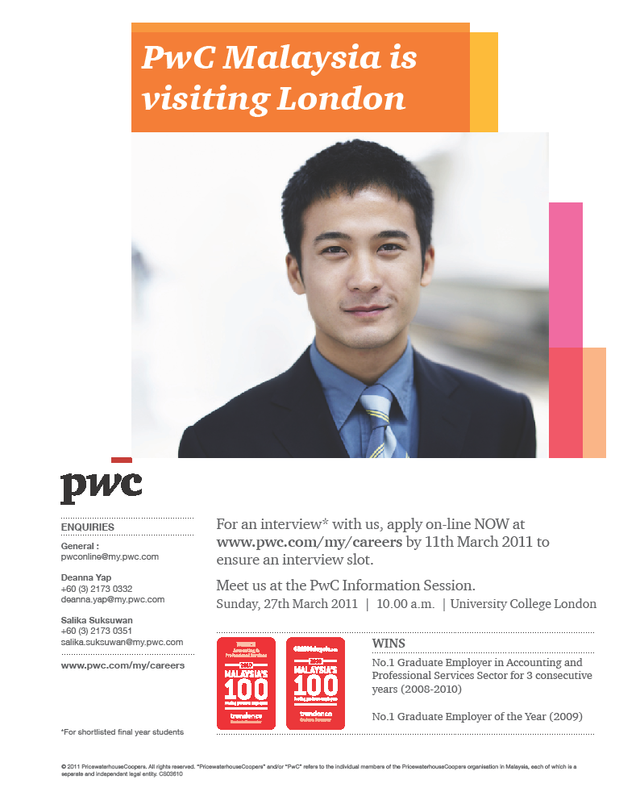 MACFIS are delighted to announce that our flagship sponsor PwC will be coming to London to reach out to potential employees from the undergraduate level. PwC have already won the Graduate Employer of the Year (Accounting and Professional Services) for 3 years running now. Hence, this is an ideal chance for anybody interested in joining that line of work to make first contact with a firm with such a good reputation. For more information please feel free to contact any of the MACFIS BOD members or visit the PwC webiste.